← Royal Envoy 2 HD for iPad: Is the Sequel is Just as Good? Compared to the gloss and sheen of today’s games, the 8-bit graphics (now a retro syle!) may not hold much appeal to the average gamer, but we who grew up playing Karateka thought it was the most wonderful game. 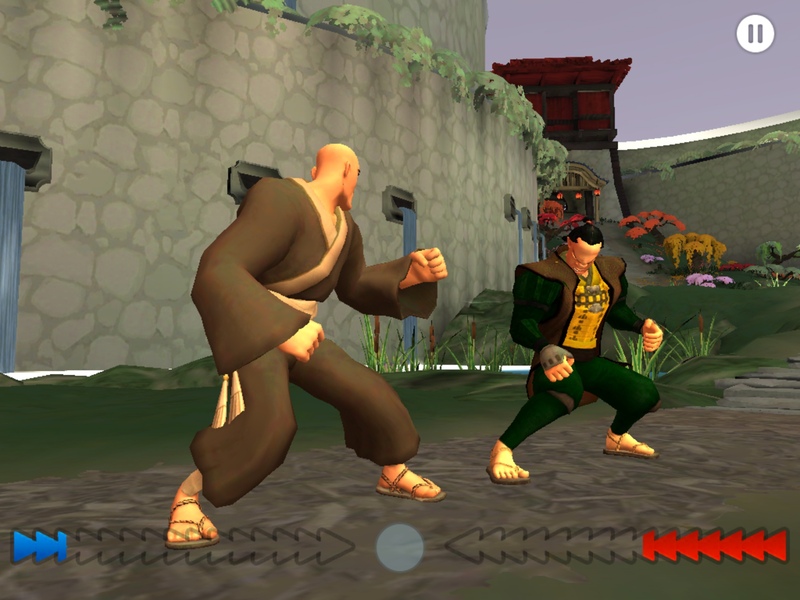 Chances are, if you are a fan of the original, you’ll be wary about this ‘modern’ version of Karateka, which now comes in full color, no dialogue (perhaps as a nod to the original), and a more forgiving “life” system which now allows you three chances to progress in the game. You start out the True Love of the captured princess Mariko, and if you die, a Monk and finally, a Brute. Fight scenes are all about tapping and timing – don’t expect elegant fights a la Infinity Blade here. The primary thing you do is to tap blue circles in proper sequence and if you get them all, you can attack swiftly. 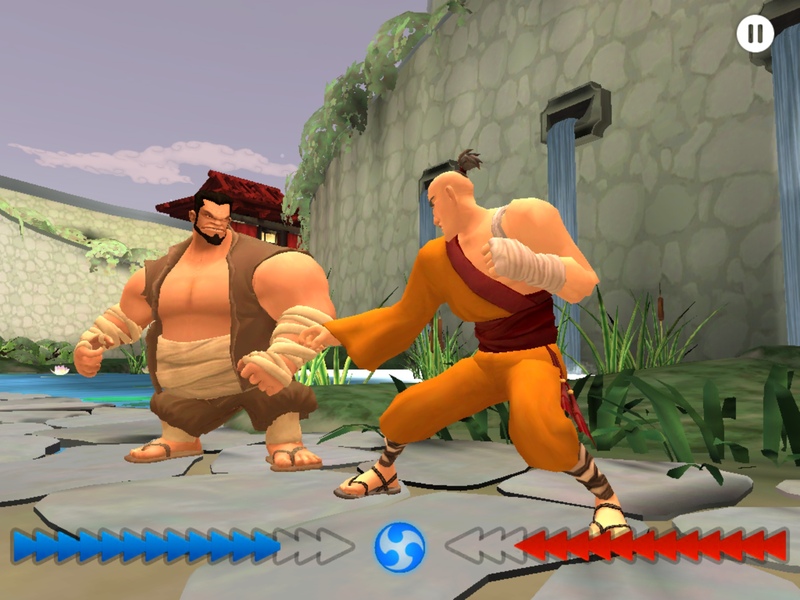 The rhythm based combat mechanics admittedly are not your usual approach to an action/adventure game, but it does help evoke the simplicity of the original game controls. If you do it right, you get to hit back at your enemy and so on until you use up his health points. Health points regenerate over time, and there are flowers once in a while that help you fully recover your health. Graphics are a-ok, but then so many games are just as nice, or even more beautiful and memorable. Of course, the current design is a major change from the limited 8-bit graphics of the original but then again it was part of the game’s charm. I especially remember fight scenes with the evil bird all sinister against the black screen of our computer. More importantly, sound effects are what made me remember the original game. Sadly, the iOS version fails to capture the strident, mournful strains of the original. The original Karateka was in a league of its own then, and what technical limitations that existed during that time were compensated for by the mystery, drama and intrigue. Much of that sadly is lost in this “superior” version, and there’s not much else to say. Karateka, in its present trappings, is not as magical as I remember it but can nonetheless keep you entertained for a while.